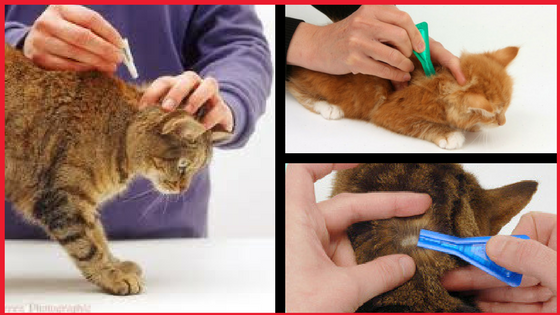 Spot on treatments have been approved by Vets as well as cat owners worldwide as the most efficacious Cure for Cat Flea. 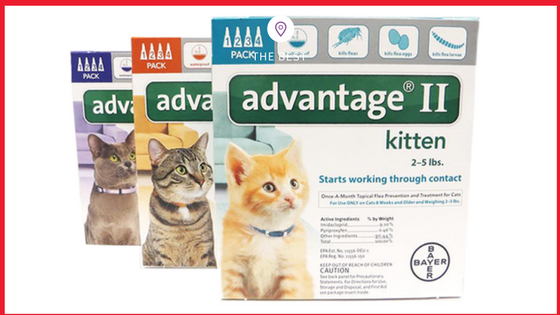 Neither of the collars, sprays, powders or shampoos is nearly as effective as a monthly spot on treatment from the Advantage-2 series of anti flea drops from Bayer. Here is a precise and compact insight into the product. 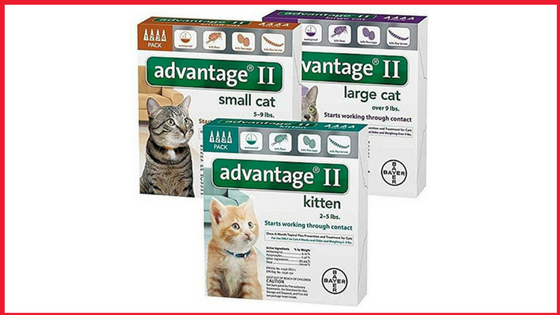 Advantage II is a topical spot on liquid formulation that kills all life cycle stages of cat fleas. It kills through direct contact itself and thus a poor cat doesn’t have to go through the itchy flea bites. 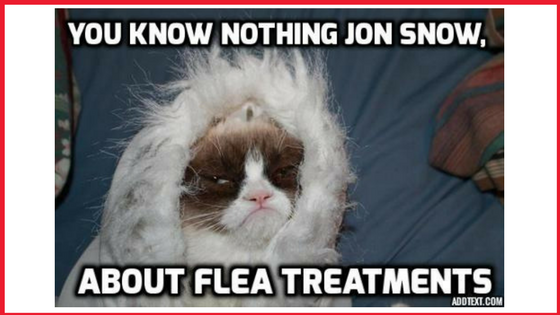 Fleas present on cat get killed within 12 hours and reinfesting fleas will get killed within 2 hours. The monthly topical application is convenient and safe for use on cats and kittens 8 weeks and older, weighing 2 pounds or more. 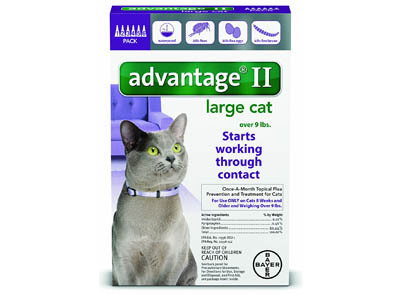 Advantage II is available in 3 individual weight bands respectively depending upon the weight of your cat. It comprises Imidacloprid and Pyriproxifen as the active ingredients varying in weight per gram according to the weight of the cat in all 3 of the weight bands. It is waterproof and hence, water bathing, swimming or rains cannot affect its efficacy. They are non prescription (OTC) products and hence, can be bought on own convenience without having to wait for a Vet appointment. Imidacloprid belongs to a group of chemicals called neonicotinoids. It is an insecticide which acts as an active insect neurotoxin acting on the nervous system of fleas and causing subsequent paralysis and death. Pyriproxifen is a pyridine pesticide which acts as an insect growth regulator. It prevents flea eggs from hatching and hence the life cycle permanently ceases. Part the fur coat on the back of the cat’s neckline at the base of its skull and make sure you squeeze out entire contents of a single tube directly into the skin at one go. It is recommended to use only one applicator per treatment. Make sure the cat doesn’t lick any of the drops accidentally. In cases of heavy infestation, retreatment is necessary within less than a month. Make sure you do not re-treat small and large cats as often as once every 7 days. For kittens, do not re-treat more than once every 14 days. Return to monthly treatment once infestation has been controlled. It is necessary to consult a Vet in cases of already medicated, pregnant, debilitated, nursing or aged cats. 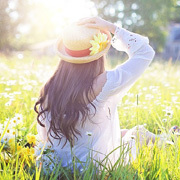 Avoid contact with human skin and eyes to prevent irritation as well as accidental ingestion to prevent poisoning. Use water to flush out eyes and wash the skin on contact. Contact poison control centre if swallowed. In cases of over dose, consult Vet emergency room. Veterinarians deal with individual sensitivities only if persistent or severe.